The Bark Blog is a place to learn and to share thoughts on marketing, business, design, service, the Web, culture and more. We'll start the conversation, but we're looking forward to hearing what you've got to say. 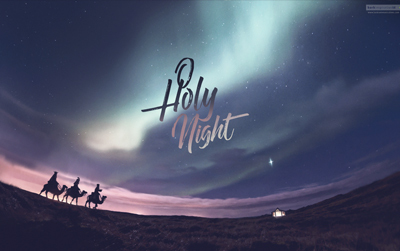 Bark Communications is pleased to announce Bark Inspiration Special Edition desktop wallpaper #011: "Holy Night". Download the new wallpaper here or visit Bark Inspiration for more wallpapers. As usual, all backgrounds are free of charge and can be used on your computer or mobile device.